Earn $3.68 in VIP credit (368 points)What's This? 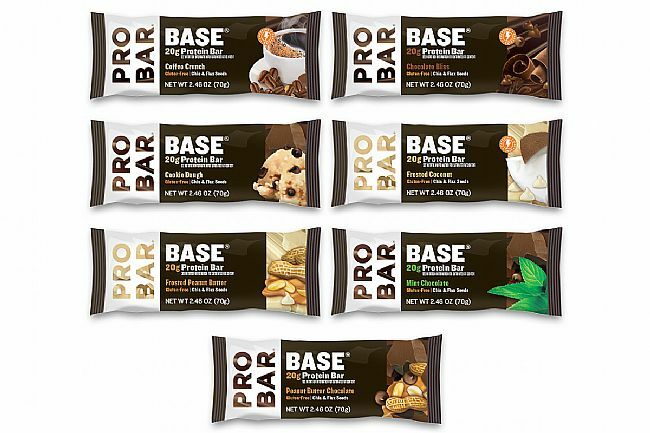 Packed with protein, the Pro Bar's Base BarVariety Pack (Box of 12) is here to meet your recovery needs. These bars pack 20 grams of protein, and they're available in flavors that really hit the spot after a long ride. With a boost of fiber plus chia and flax seeds for antioxidants and omega 3's and 6's, this bar has all your bases covered.